The sparrow is one of America's most familiar songbirds. But while you see them outdoors almost every day - this little bird has some pretty spectacular traits. Did you know - that even though they are not waterfowl - sparrows can swim underwater to elude predators? 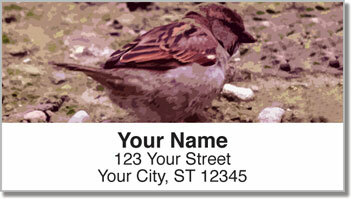 Ornithologists say there are as many as 140 different sparrow species around the world. Common? Maybe. But ordinary? We don't think so. 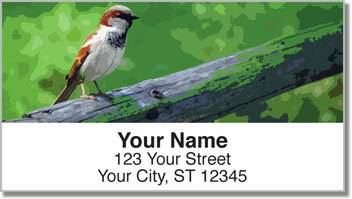 Stick these attractive images featuring four different sparrows on all your outgoing mail. 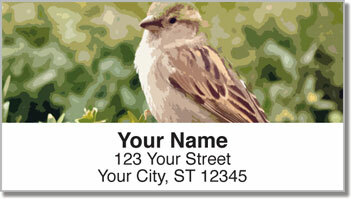 It's a great way for nature lovers like you to personalize letters and packages with your return address. Plus, since these labels are self-adhesive, all you have to do is stick one on every envelope. 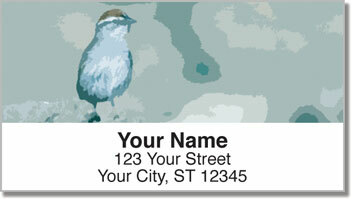 Get your very own Sparrow Address Labels right now! Complete the order with matching personal checks.